Crop protection chemicals are essential for Texas food and fiber producers. 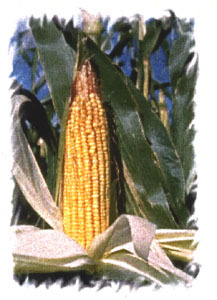 Growers have a positive record using scouting, non-chemical measures, and judicious applications. For decades, herbicides, fungicides, and insecticides have been regulated to assure safety. However chemistry, environmental constraints, and public expectations have created new demands. In the 1996 Food Quality Protection Act (FQPA), Congress mandated EPA to establish new standards and then review all currently labeled pesticides, with emphasis on a “worst first” list of chemicals. Texas Extension and research workers continue to work to assure a Texas presence in the process. Both USDA and US EPA have appreciated the quality and objective nature of these efforts. The chemicals highlighted in the “Crop Briefs” will be reviewed by EPA. These summaries are based on facts from grower surveys, discussions with industry leaders, expert knowledge from research and Extension workers, reviews of federal documents, and other information sources. Several Texas grower groups supported the Crop Briefs effort. No other state has condensed the volumes of technical details into 2-page documents for a practical understanding of the chemicals at risk. Industry groups and leaders may need to discuss the impacts of losing critical chemicals. Communication with others may help assure that they understand the consequences of chemical withdrawals, changes in costs, and the lack of alternative controls.